Wavelength Winds joins bassoonist John Falcone for an evening of improvised music. 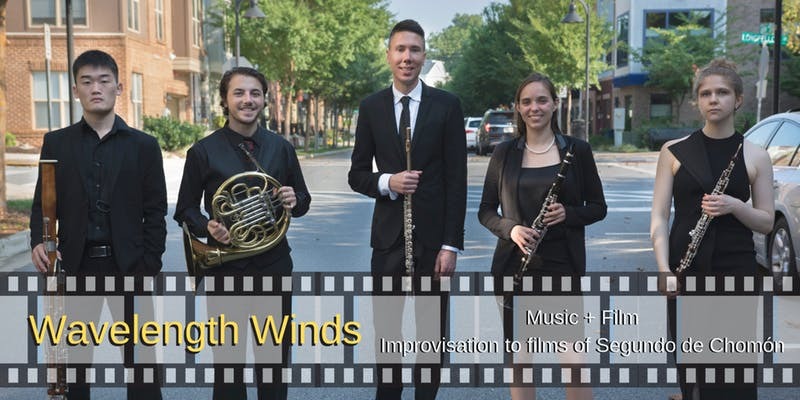 The group will create musical accompaniment in-the-moment to historic films of the legendary director, Segundo de Chomón at the embassy of Spain in Washington, DC at 7 pm. There will be a second concert appearance Thursday April 18 at the University of Maryland in Leah Smith Recital Hall at 7 pm. Both concerts are free and open to the public.